Senior State Department official says it is important to take "strong steps" urgently, or "pressures will grow for much stronger actions." 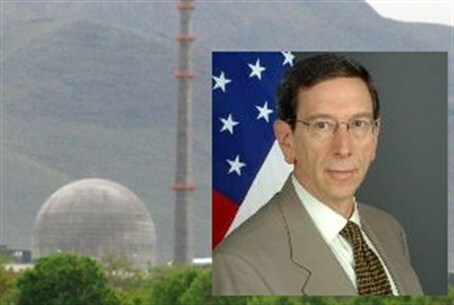 A senior US State Department official said Monday that "strong steps" need to be taken against Iran's nuclear program urgently. The statement is arguably the toughest yet made by the Obama administration on the subject. "Iran is violating international obligations and norms. It is becoming a pariah state," Robert Einhorn, the State Department senior adviser for non-proliferation and arms control, told reporters in the South Korean capital. "The situation in Iran has become more and more worrisome," Reuters quoted Einhorn as saying. "The timeline for its nuclear program is beginning to get shorter, so it is important we take these strong steps on an urgent basis. "If we do not, pressures will grow for much stronger actions. The US favors a diplomatic solution, but if we cannot achieve a diplomatic solution soon, inevitably interests will grow in a different kind of solution. That is why we need to act soon. "We're asking our partners around the world to take additional steps and naturally we are coming to Korea to see what the Republic of Korea can do to sharpen the choice for the leaders of Iran," Einhorn said during a press conference at the U.S. Embassy in Seoul. The United States wants South Korea to join in on stepped-up sanctions against Iran. Seoul is reportedly considering imposing sanctions targeting Iran's petrochemical industry following the latest round of sanctions by the US and other Western powers. According to the Washington Post's WhoRunsGov website, "Einhorn has worked on nuclear proliferation issues during almost every administration since President Richard Nixon."